I would like to let you know that the European Championship of groups FSR V, H and O will not take place in 2018. I would like to inform you Czech Republic will not organise FSR V – EC 2018as Naviga EC in 2018.Competition will be done as an open championship only. 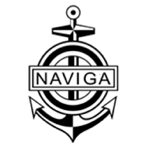 Unfortunately without Naviga support it’s not possible to organise it asNaviga EC. Thanks for understanding. In the attachment, you will find the decision regarding the European Championship of groups H, O in Jawor in 2018 as well.